If you’ve been diagnosed with cancer, we can send you tailored information to help you speak to your doctors so you can make the treatment decisions that are right for you. At Macmillan, we know that a cancer diagnosis can be a huge shock – but we can help. Sign up using the form below to receive regular emails featuring relevant information and details about the many support services you can access. You don’t need to search for expert cancer information – we’ve got this. If you want to find out more about what cancer means and what to expect, download The Cancer Guide. This comprehensive booklet can answer your questions and help you to cope with some of the feelings you may have. Another way of learning more about your diagnosis and treatment options is to to prepare a list of questions to ask your healthcare team. Call the Macmillan Support Line free* on 0808 808 0000 (7 days a week, 8am-8pm), visit our Online Community or find support in your area. Your search for cancer information stops here. If you’ve been diagnosed with cancer, we can help you through. 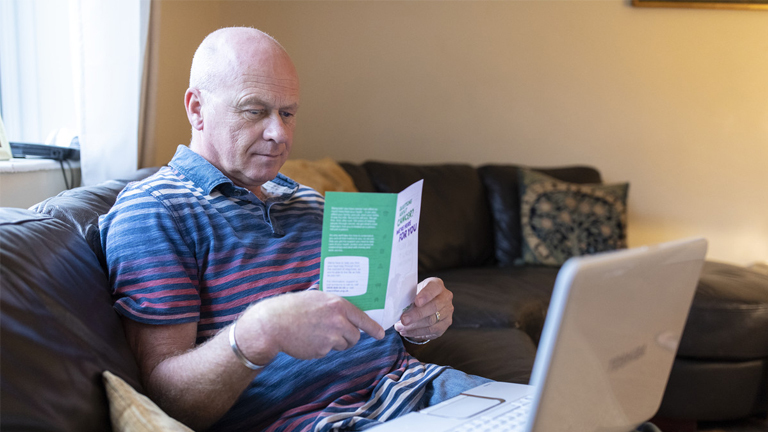 Sign up now to receive regular tailored emails giving you relevant information, links and guidance to Macmillan's services to support you through your cancer diagnosis. We would also like to use the information you have provided to tell you more about our services and other ways we can support you. If you have shared any information about your cancer experience, we will use this to tailor the support services we offer you. We have a range of resources that can support you to plan and manage your finances when you have cancer. Anxious about talking to your children? Talking to children about cancer is challenging. We have advice on explaining cancer to children and teenagers. Concerned about how cancer might affect your work? There are laws in place to support you. We can give you the vital information you need about your rights at work. If you’re looking after a loved one with cancer, you’re likely to need support too. Our range of information for carers can help.